Always popular for restoration projects, architectural antiques are just as likely to be procured for new construction projects. In these cases, however, special consideration needs to go into the selection of the antiques, as well as the design of the house, in order to integrate the two seamlessly. 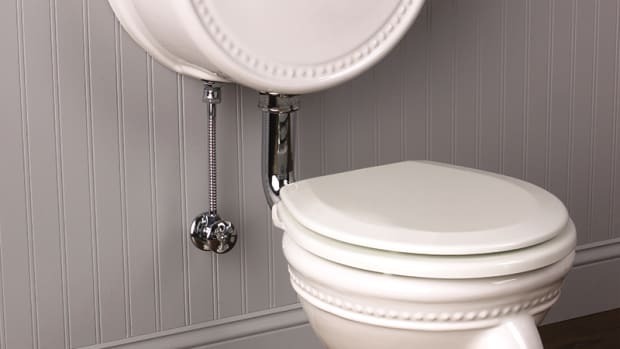 Multiple issues – primarily period and style, but also size, weight, material, orientation and installation – must be addressed in order to achieve the correct styling. 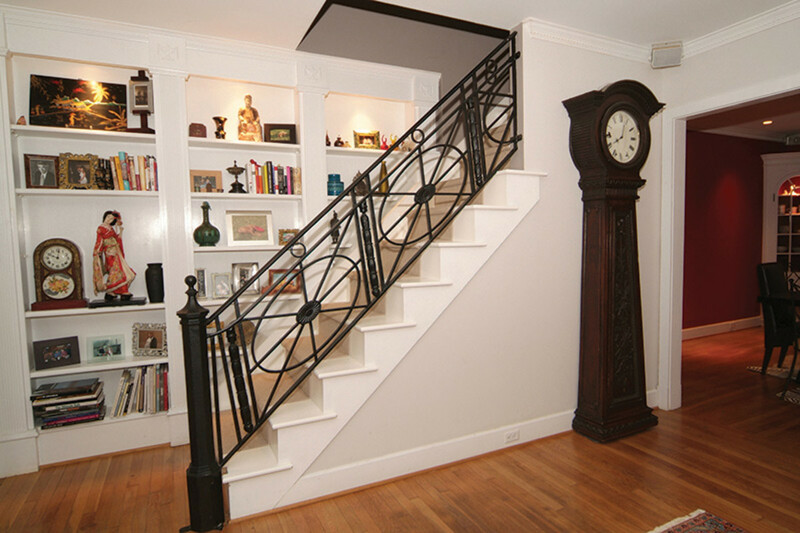 The 25-year-old firm offers architectural elements such as entry doors, door hardware, mantels and ornamental ironwork. “These are substantial items that heavily influence the house’s appearance and enhance its curb appeal,” says Cusmano. Mark Charry, owner of Architectural Antiques Exchange in Philadelphia, PA, says that many of his clients turn to his shop after they were dissatisfied by a subcontractor’s offering. 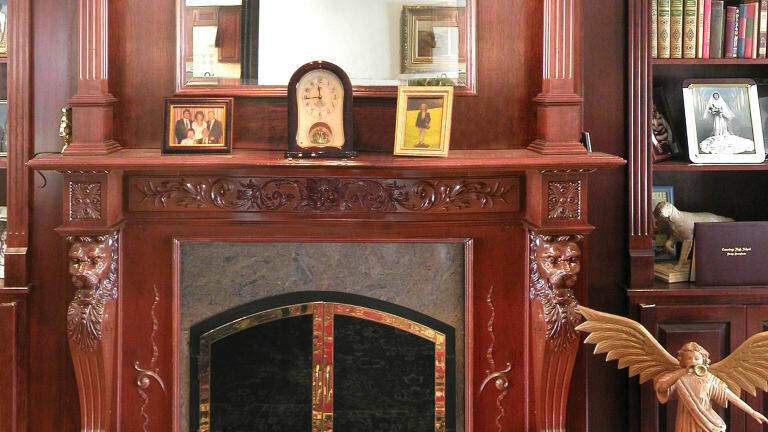 “Say someone needs a great mantel for a prominent spot,” Charry explains. “Typically, he or she will get a bid from the subcontractor, but won’t be happy with the generic design. 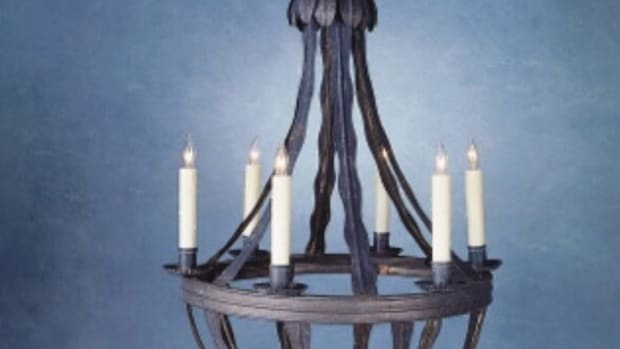 Most people find us after an experience similar to this.” Architectural Antiques Exchange supplies doors, ironwork, stained glass, lighting and English- and Irish-style bars, as well as mantels. 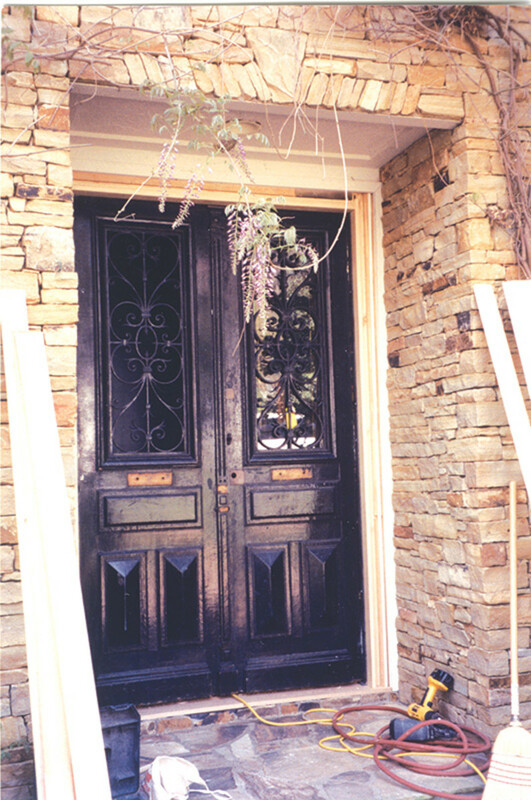 Metropolitan Artifacts selected this pair of ca.-1880 French wood and iron doors for a private residence to replace a single solid door with plain sidelites. This is the beginning of the transformation from Williamsburg to French Manor style. Using architectural antique elements in the construction of a new home is an attainable and credible way to add authenticity to a new design. While Cusmano agrees with the other firms that it’s best if clients pick out antiques before construction commences, he doen’t encourage people to buy everything at once. “The homeowner should choose the entry doors, and then come back for the staircase after seeing how the doors might relate to it,” he says. Even those searching with time to spare need to be aware of the differences between antique and new elements. “We get most of our clients early on, before they’ve even broken ground,” says Cusmano, “but that doesn’t mean that the items can be fit into a new house effortlessly.” Metropolitan Artifacts works with its clients sometimes for months on end. “I look at blueprints so that each piece will fit properly and provide drawings of the antiques so that the architect or builder can make the necessary adjustments to the framework,” says Cusmano. Architectural Accents fits a large Gothic-style oak door with a new frame crafted from matching antique oak. 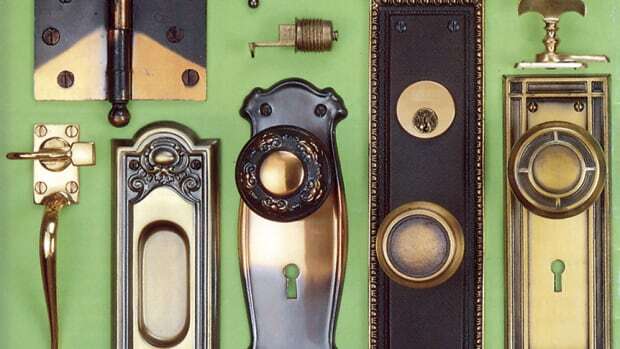 The company also designed custom-crafted hardware for the door. 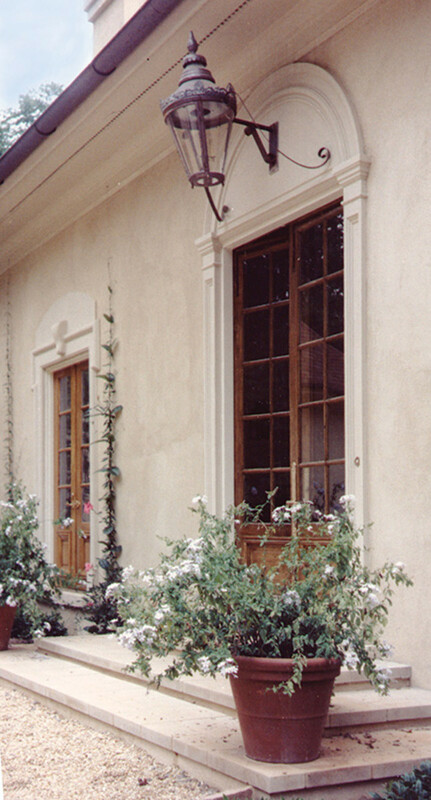 Solid-wood, iron and bronze entry doors from France and the U.S. are among Metropolitan Artifacts’ most popular items, but are some of the hardest elements to adapt to a new construction. The standard 6¾-ft.-tall x 36-in.-wide opening for a door won’t be large enough for the majority of the antique doors. “Doors aren’t the standard sizes that architects draw,” says Charry. Cusmano agrees: “Builders don’t understand that they can exceed 6¾ ft. We say, eliminate the sidelites and transom from Home Depot and then you can fit a pair of antique doors.” Similarly, antique mantels and even Architectural Antiques Exchange’s pubs are also often too large for today’s homes. 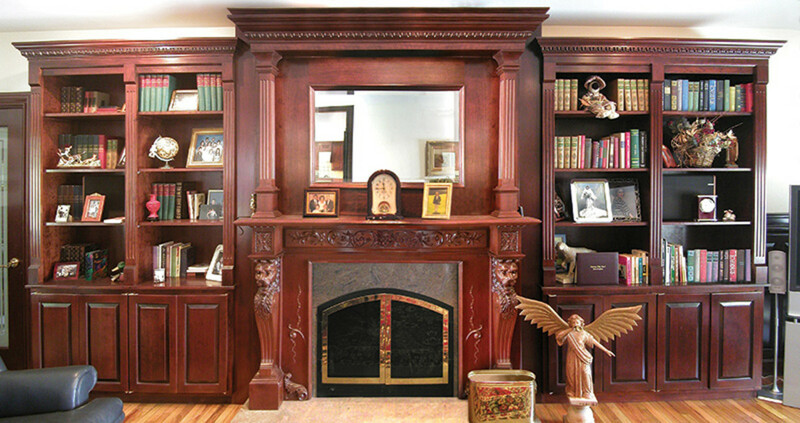 The way to accommodate doors or mantels that are too tall is debatable. Metropolitan Artifacts offers custom restoration services to modify the antique for its specific location, but refuses to make significant changes that would compromise the structure or visual integrity of the item. One of Cusmano’s mottos is: “Change the house before changing the doors.” Architectural Antiques Exchange and Architectural Accents, on the other hand, will make alterations to fit pieces into a room. “We’ll personally inspect the antique and, to make it easier, some of the alterations can happen in-house,” says Charry. Mizelle says, however, that Architectural Accents won’t make any alterations that would make an antique structurally unsound or ruin the proportions. 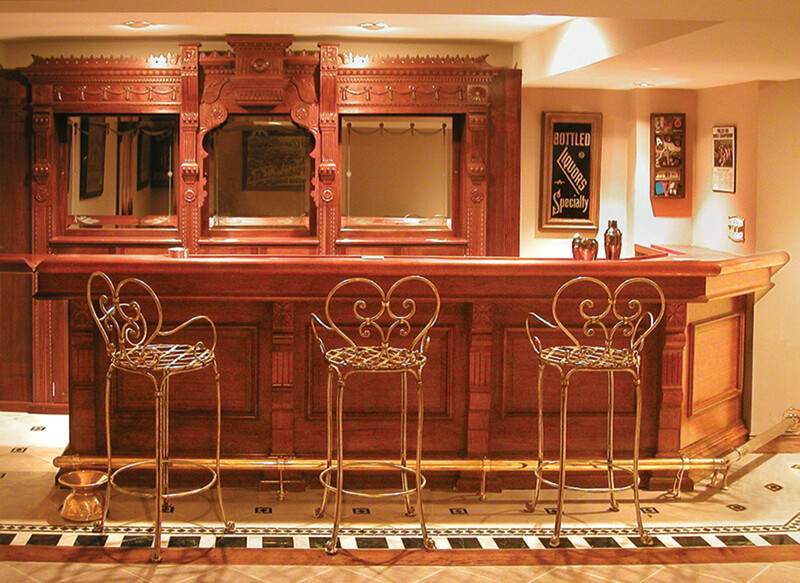 Carpenters or builders on-site could also make adjustments, but most antiques suppliers offer restoration services and feel that often they are more qualified to do the work. “Many builders can’t do this,” says Cusmano, “but we specialize in antiques and know how to treat the pieces.” Or else, Charry says, “it becomes very important to find a builder with some understanding of how old things work and what preparations to make and precautions to take for installing them.” All three architectural antiques companies will prepare the antique for installation, which might involve, for a door, stripping old paint down to the wood, building a jamb, replacing the old glass with tempered glass in order to meet building code, doing the hinge work and matching hardware to the door. “We prepare for its afterlife,” says Cusmano. 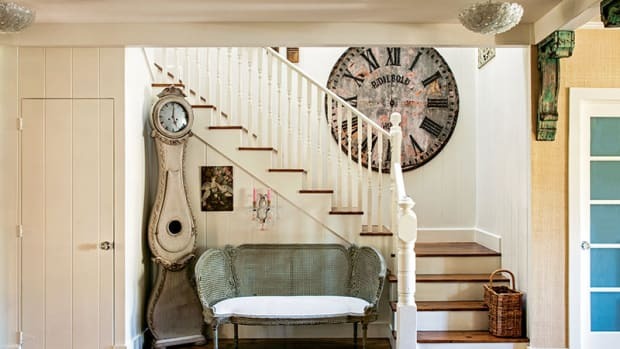 Whether one is searching with time to spare or within an abbreviated timeframe, architects and builders should encourage homeowners to communicate their interest in incorporating architectural antiques even if the elements aren’t yet picked out. “The architects may be able to design with some leeway so that a number of different things could be fit in,” Charry says.